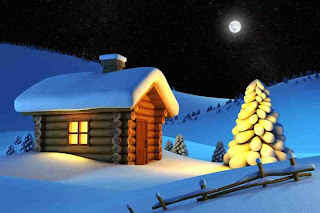 one-wish.co.uk blog: December has finally arrived, Christmas only 24 days away. December has finally arrived, Christmas only 24 days away. One-wish raises the bar in November as my ONE-WISH Pledge campaign reaches nearly 2,500 registered wishes. This is absolutely FANTASTIC news….. Exceeding my original expectations. Thank you so much to all of you who have kindly visited my website and left your wish. Each and every visit is very much appreciated, without you one-wish would not be the success it is today. For the tenth month in a row LOVE continues to dominate the one-wish chart for the most popular category for wishes placed during November, with a whopping 23% of all wishes. Money follows in second at 18% and Family nipping in third place with 15%. I would like to take this opportunity to wish my very good friend, Tom Rees, the very best for his new venture. Tom has recently launched a new blog http://dontdiecrying.com/ and a new website http://soberlivingsearch.com/ both are a must visit. I know Tom will love to hear any comments or suggestions you may have. Finally, I would like to ask for your help to help me to help others by supporting my one-wish pledge campaign…all you have to do is make a wish! Ps: Don’t forget if you like our four legged friends you must pay at least one visit to this amazing blog called A Dog’s Voyage Around The World www.adogsvoyagearoundtheworld.blogspot.com so if you like dogs then this is a must visit and checkout our family of canine friends for their tips and tricks… you’ll LOVE it. Great to find your site. I work as a photojournalist and am forever getting involved in the people who I tell the stories about. Two years ago I was in a group where we were all asked where we wanted to go on a dream vacation. I said the Congo. I said this because I had had a dream about two women who told me to come. A year later I was there. I have a few pictures up on my wedding site which you can find. It's such a blessing to now know some Congolese people and I hope to go back and help them in more ways.